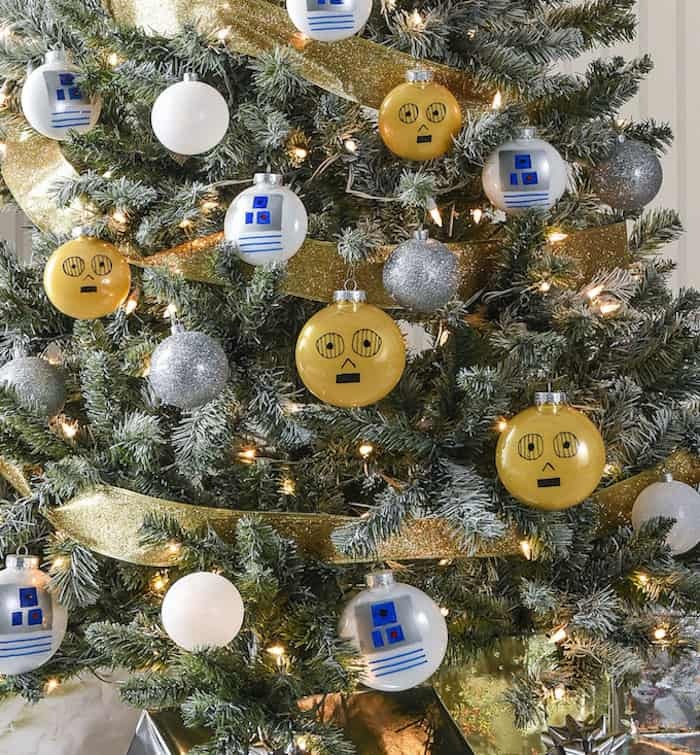 Rebels will love this droid themed Star Wars Christmas tree! 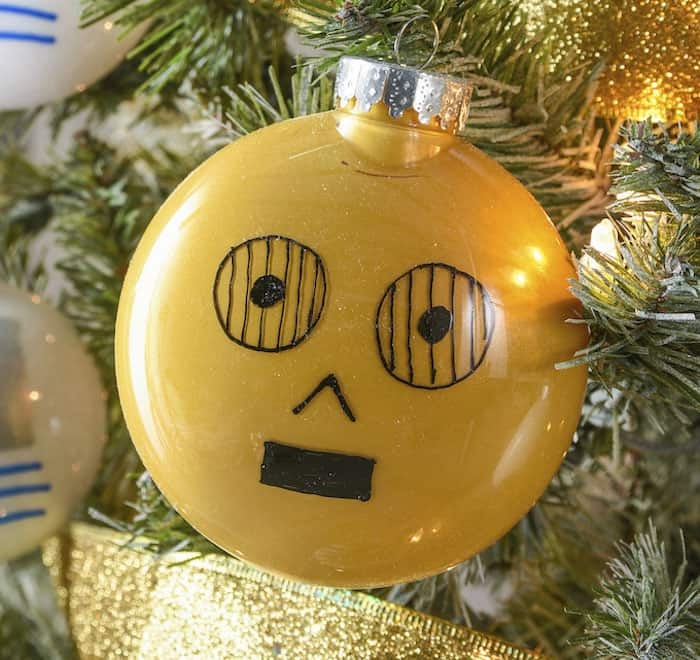 Learn how to easily make your own C-3PO and R2-D2 ornaments. 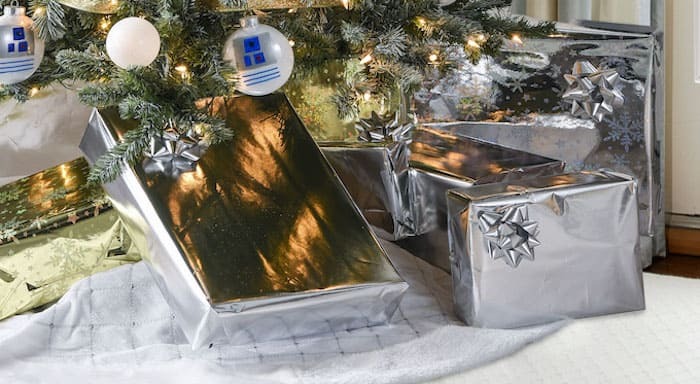 I’ve had a dream for awhile – a dream of having a Star Wars themed Christmas. 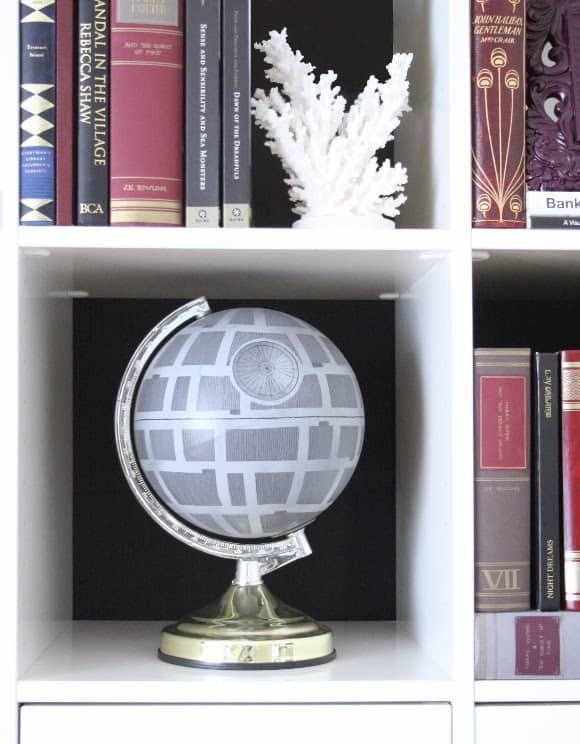 Because when you’re obsessed with the original trilogy, it naturally makes sense, right? I finally executed my dream this year with a Star Wars Christmas tree as part of the Michaels Makers challenge! Let me be honest though, the whole process wasn’t easy. It took me awhile to figure out which particular Star Wars theme I would go with. 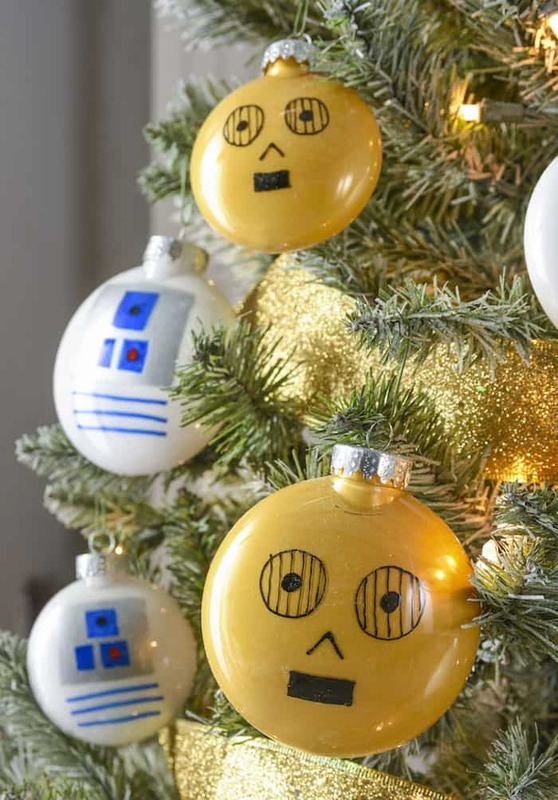 I finally decided to make my tree a little more subtle (if there is such a thing when your theme is Star Wars?) and go with the droids. Why? Because they are silver and gold, and I like those colors for Christmas. 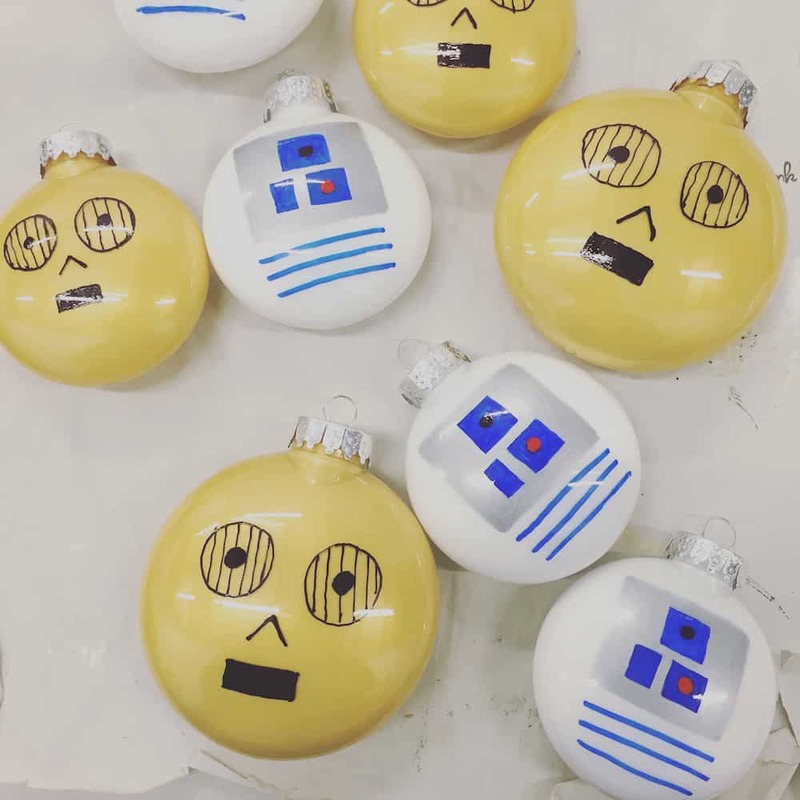 Cute C-3PO and R2-D2 ornaments staring them in the face! 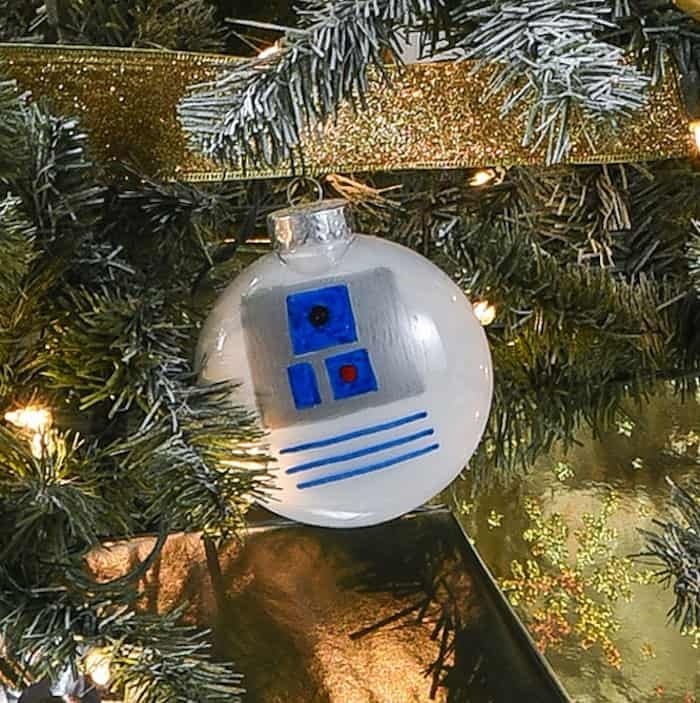 Nestled in the branches of my Star Wars Christmas tree amongst silver and white glittery baubles. I love them so much! I bet you are wondering how I made them. It’s REALLY easy. And all of these supplies are available from Michaels! Making the ornaments is really easy. 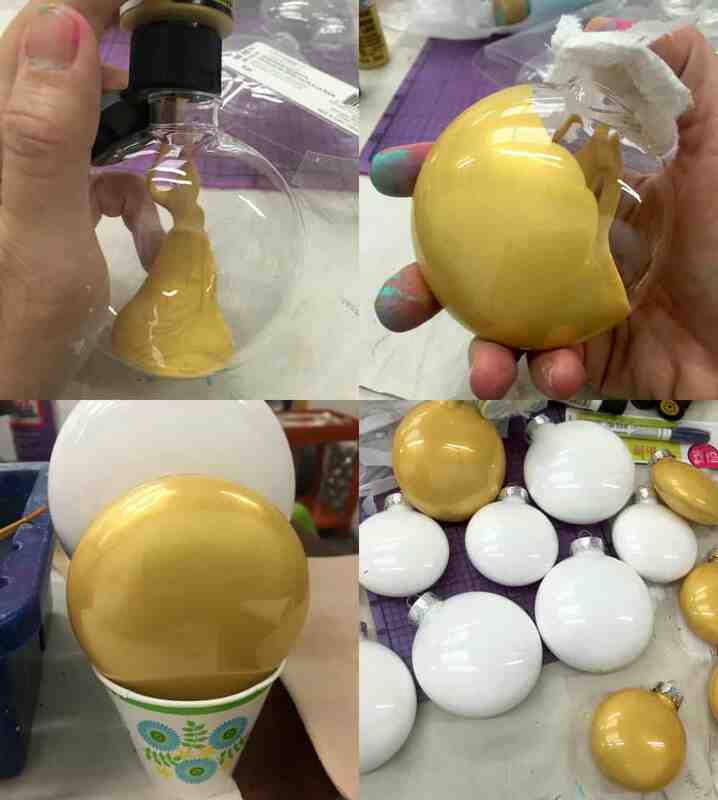 Simply take the lid off of an ornament and squeeze some paint inside. Roll it around and shake (use paper towel to cover the top) until you coat the inside. I’m sure you are asking me how much paint to put inside the ornament, but it really depends. Just play with it and you’ll quickly learn. Start with less and add more if you need it. 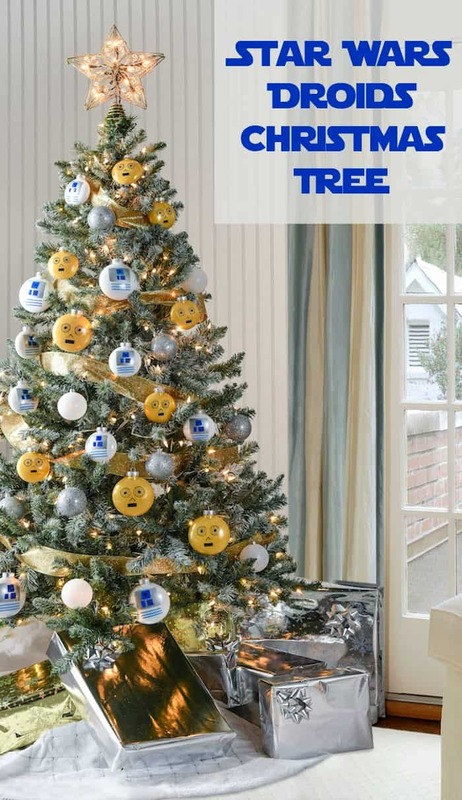 Because after you fill the ornaments, you’ll want to drain them! I purchased small cups and placed the ornaments upside down to drain. At the same time, they are drying. It can take a few days depending on the climate, so keep that in mind! The paint drains relatively quickly and you can place it back in the bottle (which I did). If you see any areas where the paint didn’t quite stick, repeat the process. 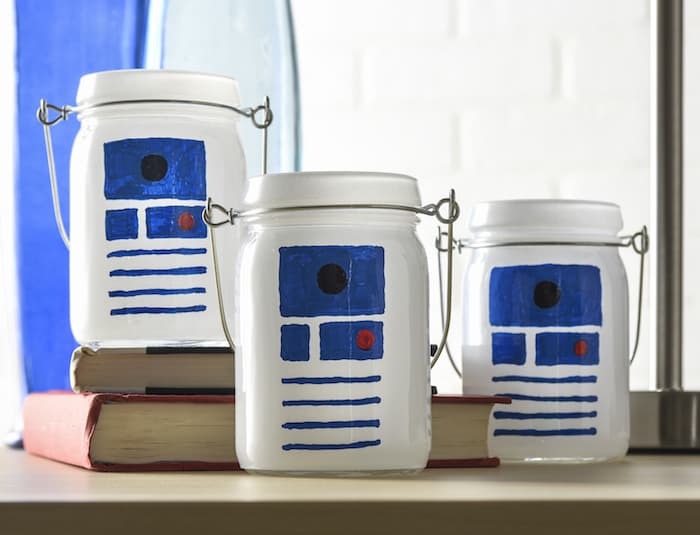 When you’re done, replace the lids and you’ll be left with some awesome droid canvases! There’s no trick to making the faces. I honestly just winged it. On C-3PO, I used a fine tip Sharpie oil paint pen to draw the face. On R2-D2, I drew the dots first, then the boxes around them. Then the silver around that, and the lines at the bottom. Let the ink dry. What did I do to put the tree together? I flocked it first with a snow spray purchased at Michaels. I let that dry, then put a gold ribbon around it. I placed a star topper on the very top, then hung up the Star Wars ornaments. I filled in with silver and white glitter balls! A pretty white and silver tree skirt along with some packages went beneath. I adore my Star Wars Christmas tree! It’s not too overwhelming, but the perfect amount of “the force” to compliment my holiday decor. I’d love to know what you think! 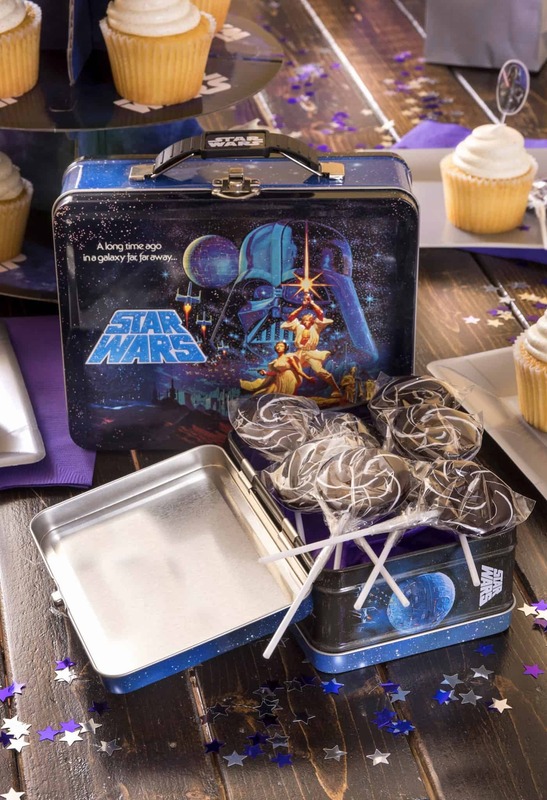 Have an Inexpensive Star Wars Birthday Party – My Top Tips!